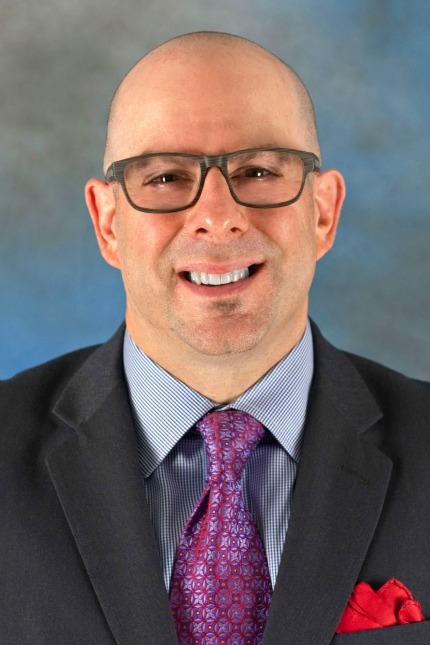 Paul J. Gaglio, MD FACP, AGAF, FAASLD is the newly appointed director of Hepatology Outreach at NY-Presbyterian Hospital, Columbia University Medical Center. He is the former medical director of Adult Liver Transplantation at The Montefiore Medical Center. Dr Gaglio received his bachelor’s in Biology/Physiology from Rutgers College in New Brunswick, NJ, and his M.D. from UMDNJ-New Jersey Medical School. He completed an internship and residency at Mount Sinai Medical Center in New York City, and a digestive disease/liver transplantation fellowship at New Jersey Medical School. Dr. Gaglio has published multiple manuscripts, book chapters, and abstracts, and has participated in numerous research trials related to the therapy of hepatitis B and C, liver transplantation, and treatment of liver failure. Dr. Gaglio has lectured nationally and internationally on these topics. He is a Fellow of the American College of Physicians, the American Gastroenterological Association, and the American Association for the Study of Liver Diseases. His research interests include treatment of hepatitis B and C, the natural history of hepatitis C in liver transplant recipients, and non alcoholic fatty liver disease. For billing questions, please call (212) 305-8582. • Gaglio PJ, Baskin G, Raterree M, Blanchard J, Cheng S, Dunne B, Liu H, Dash S, Theise N, LaBrecque D. Liver Regeneration Investigated in a non-human primate model J Hepatol. 2002;37:625-32. • Gaglio PJ, Malireddy S, Levitt BS, Russo MW, Lapointe-Rudow D, Kinkhabwala M , Lefkowitch J, Emond JC, and Brown RS., Jr. Increased Risk of Cholestatic Hepatitis C in Recipients of Grafts from Living versus Cadaveric Donors Liver Transpl. 2003;9:1028-35. • Gaglio PJ, Rodriguez-Torres M, Herring R, Anand B, Box T, Rabinovitz M, Brown RS; Infergen Study Group. Racial differences in response rates to consensus interferon in HCV infected patients naive to previous therapy. J Clin Gastroenterol. 2004;38:599-604. • Gaglio PJ, Singh S, Degertekin B, Ishitani M, Hussain M, Perrillo R, Lok AS, and the NIH HBV OLT Study Group Impact of the HBV Genotype on Pre- and Post- Liver Transplantation Outcomes Liver Transpl. 2008;14:1420-7. • Feuerstadt P, Bunim AL, Garcia H, Karlitz JJ, Massoumi H, Thosani AJ, Pellecchia A, Wolkoff AW, Gaglio PJ, Reinus JF .Effectiveness of hepatitis C treatment with pegylated interferon and ribavirin in urban minority patients. Hepatology. 2010;51:1137-1143. • Gaglio PJ, Moss N, McGaw C, Reinus J Direct Acting Antiviral Therapy for Hepatitis C; Attitudes Regarding Future Use. Dig Dis Sci. 2011;56:1509-15. • Gaglio PJ and Steinberg SM: Management of acute liver failure. In Sepsis and Multiple OrganDysfunction, Ed. By Deitch, Vincent and Windsor. Harcourt Publishers, London pp. 410-419, 2002.